Silky Lecler sheet mask boosts skin’s radiance for an immediate effect. It is infused with a new generation of Hyaluronic Acid Complex made of large hyaluron molecules (Sodium Hyaluronate), which hydrate the outer layer of the skin and small hyaluron particles (Hyalo-Oligo), which penetrate deep into the skin. 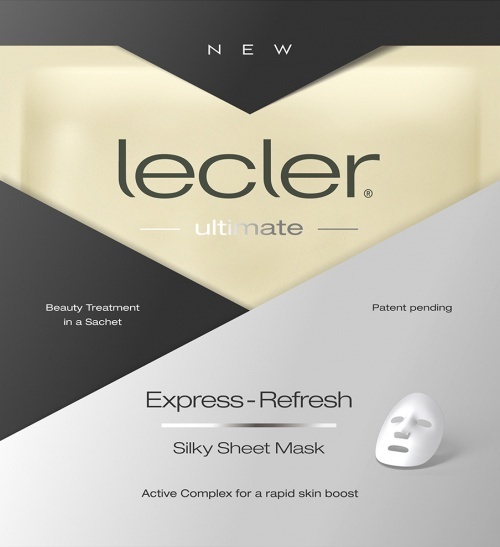 Lecler mask is rich in scientifically advanced peptides including argireline which relax facial muscles helping reduce fine lines and stimulate collagen and elastin production. It is perfect for an instant revitalising boost just before important social events and meetings.